The Samsung A80 has a 6.7-inch Super AMOLED display, triple-lens rear camera (48-megapixel f/2.0 + 8-megapixel f/2.2 ultra-wide + Time-of-Flight), 8GB of RAM, 128GB of internal storage, a 3700mAh battery, Dolby Atmos audio and Snapdragon 730G SoC. It'll run on Android 9.0 with Samsung One UI skin and come with all the usual compliments like Bixby and Samsung Pay. Of course, the main draw here looks to be the design. 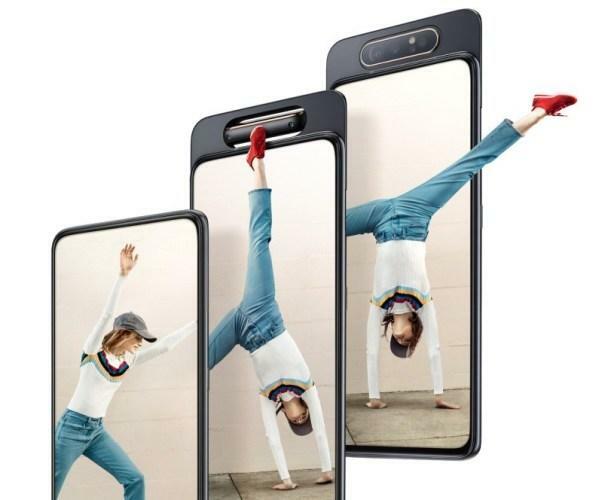 Looking something like a hybrid of Oppo's Find X and N1 smartphones, the Samsung A80's rear camera can slide upwards and then flip over itself in order to be used for selfies when needed. Three color options will be available out the gate: Angel Gold, Ghost White and Phantom Black. Overseas, the mid-tier Galaxy A80 will launch on May 29th. 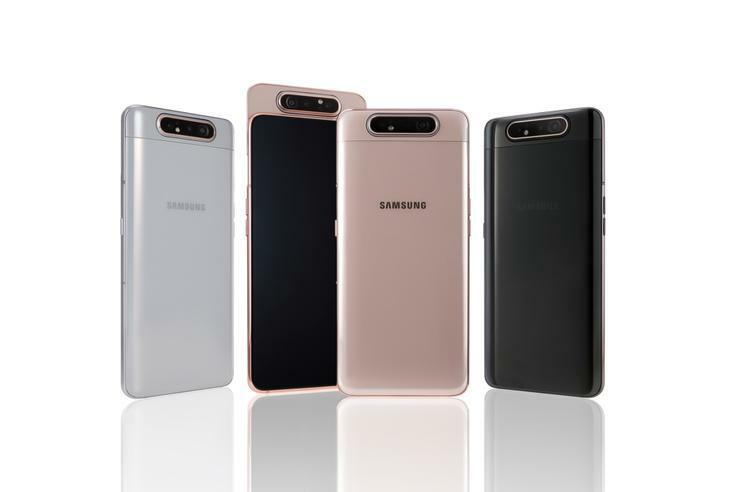 No word yet on whether the Samsung A80 will come to Australia but, given that the A8s, A10, A20, A20e, A30, A40 and A50 have not, we're not holding our breath. If you're keen to get your hands on the Samsung A80, you're probably going to have to import one.